Dr. Tucker Ferda takes us through the discoveries he made during the creation of one of our most recently published Library of New Testament Studies works: Jesus, The Gospels and the Galilean Crisis. How would you describe this book in one sentence? This book explores how Jesus, his early followers, and later interpreters, made sense of the rejection of the Gospel, and it suggests that contemporary scholarship continues to repeat the conclusions of 19th-century and earlier research in important and overlooked ways. What drew you to this subject? I am fascinated by both the reception history of the Gospels and the attempt to reconstruct Jesus as a figure in history. I am firmly convinced that these two projects go hand in hand such that, as Ricoeur once said, we cannot talk about the past until we talk about ourselves as beings shaped by the past. I also have interests in how Christian theology works in the valleys of disappointment, despair, and trauma. So I guess this book was a melding of all these things. For one of our recent publications, The Hasmoneans and Their Neighbors: New Historical Reconstructions from the Dead Sea Scrolls and Classical Sources, Dr. Kenneth Atkinson reveals the inspiration and research behind his latest book. 1. How would you describe your book in one sentence? My book offers a bold new reconstruction of the vital historical period in Palestine from 152 to 63 B.C.E., when the Hasmonean family of Jewish rulers changed the fates of their neighbors, the Roman Republic, the religion of Judaism, and created the foundation for the development of the nascent Christian faith. 2.What drew to you writing about this subject? I discovered the remarkable story of the family of Jewish rulers known as the Hasmoneans (a.k.a. Maccabees) when I first read the writings of the Jewish-Roman historian Josephus (37 B.C.E.-ca. 98 C.E.). His accounts of how the Hasmoneans forged an independent state, maintained power, fought numerous enemies, and lost their independence to the Romans, is a gripping narrative with many Shakespearian qualities. Josephus’s chronicle of King Judah Aristobulus is perhaps the best example. It is reminiscent of Macbeth with its tales of matricide, sibling strife, and madness. Although Josephus’s descriptions of him and his ruthless brother, Alexander Jannaeus, make compelling reading, I was astonished at his sections about Queen Shelamzion Alexandra. The only legitimate female ruler in Jewish history and the sole woman named in the Dead Sea Scrolls, she emerged during a time of chaos to preserve her family’s kingdom and change her religion. Her reign is one of history’s most fascinating and least known stories. After reading Josephus’s books, I became so interested in the Hasmonean family that I decided someday to document their history in an academic publication accessible to scholars in a variety of disciplines, students, and interested laypersons. It ended up being a much greater project than I had anticipated. My previous book, The History of the Hasmonean State: Josephus and Beyond (T and T Clark Jewish and Christian Texts in Contexts and Related Studies, 23 [London: Bloomsbury T and T Clark, 2016]), used all extant data to reconstruct the history of the Hasmonean State as documented in Josephus’s works. This was the only book I had planned to publish about the Hasmoneans. However, while writing it, I discovered a vast quantity of unused literary, archaeological, and numismatic sources that document relations between the Hasmoneans and their neighbors, as well as how the family affected the Dead Sea Scrolls community. I also found that these ancient manuscripts discovered along the Dead Sea help us to understand Greek and Latin classical writings about this period. These works, moreover, contain a wealth of untapped resources for reconstructing previously unknown events in Hasmonean history. The Hasmoneans and their Neighbors uses this evidence to reveal how the Hasmonean family changed the fates of their neighbors, the Roman Republic, the religion of Judaism, and created the foundation for the development of the nascent Christian faith. I am confident readers will find it a fascinating book. 3. How long have you been researching it? How did you come to study it? This book has a rather long history that precedes my academic career. I first encountered the Hasmoneans during the Cold War when I spent four years as a soldier in the U.S. Army (1983-1987). Assigned to the former West Berlin, I transported classified documents through the Berlin Wall across the former East Germany and the Iron Curtain. Because of my military status, I was able to cross through Check Point Charlie—the border between East and West Berlin and the infamous “Berlin Wall”—to see the great historical and archaeological museums in the former Communist sector. I was particularly fascinated with the biblical artifacts there, which led me to visit many of the countries where archaeologists found them. My experiences in the army, coupled with my independent study and travels, stimulated my desire to pursue a career in academia specializing in the period of the Hasmonean state. Before I began my academic training, I wanted to see more in my quest to learn about the Hasmoneans and the ancient world first-hand. After my military discharge (honorable I am happy to say! ), I spent nearly three years traveling full-time to historical and archaeological sites in several Middle Eastern and European countries. Equipped only with a backpack, I retraced portions of Jesus’ travels, Paul’s journeys, Xenophon’s march of the ten thousand, Lucullus’ Armenian campaign, and Crusader routes—a good portion of them by foot! My journeys shaped nearly every chapter of The Hasmoneans and Their Neighbors, especially my reconstructions of historical events based on my visits to numerous archaeological sites. This is perhaps most evident in chapter three, where I use my trip to the ancient kingdom of Commagene and neighboring regions to uncover new information about a possible Hasmonean campaign there. Upon my return home and throughout my graduate school education, I continued my studies of the Hasmoneans. Readers will find much new information throughout The Hasmoneans and Their Neighbors that my varied life experiences allowed me to uncover. Like my previous book, it contains many original historical reconstructions not available anywhere else. 4. What does your book focus on that hasn’t been explored elsewhere? The Hasmoneans and Their Neighbors shows that Jewish sectarianism and messianism played greater roles in the Hasmonean state than indicated in the writings of Josephus. It also proposes that we cannot understand the history and theological beliefs of Jews during the period of the Hasmonean state without a close investigation of the histories of the Egyptian Ptolemaic and the Syrian Seleucid Empires, as well as the Roman Republic. By bringing together evidence from the Dead Sea Scrolls and classical sources, I offer a new reconstruction of this vital historical period when the Hasmoneans not only shaped Middle Eastern history, but transformed the classical world as well. The Hasmoneans and Their Neighbors also contains many new reconstructions of classical history, including the most detailed examination of Pompey the Great’s assassination in light of Jewish sources. This section on his death reveals new information that explains the discrepancies in the classical accounts of this pivotal event that shaped Middle Eastern and Roman history, and which ended the Roman Republic. The Hasmoneans and Their Neighbors is a truly exciting story that will interest scholars from many fields, as well as anyone interested in learning about one of history’s most amazing, influential, and dysfunctional families. As a tribute to this Holy Week of 2018, we have created a list of previous, current and future releases, that we feel particularly reflect the importance of the days before us! Our Guides for the Perplexed explain key themes for scholars and general readers, providing an accessible introduction to challenging thinkers, writers and subjects. Focusing on dogmatic location, analysis of the Old and New Testaments, major theologians and contemporary developments on atonement, every essay in this companion seeks to both appropriate and stimulate the church's understanding of the manifold nature of Christ's death and resurrection. An investigation of the significance of the discovery of the Akhmim fragment, and the consequences of understanding it as an eye-witness testimony of the resurrection of Jesus. Examines the Christian theologies of sacrificial love, this book breaks new ground on the significance of Jesus' life, sacrifice and death, and what it means both for the contemporary reader and the modern world. An original analysis of 23 filmic representations of Judas Iscariot, tracing their changing portrayals, the reasons for these changes, and how they impact on theology. This classic of modern theology demonstrates the life affirming and cataclysmic significance of the Resurrection and Ascension of Christ, by focusing on the redemptive, life from death, operation of the Historical and Eschatological Jesus. This upcoming reissue, to be published in November of this year in the Cornerstones Series, features a preface by Paul D. Molnar. Coming in June this year, this companion provides a comprehensive overview of the Bible and film, looking at context, theory and key 'texts' both biblical and cinematic. And finally, a theorization of the man behind the iconography and the scripture - a book that has caused a stir both in the academic and journalistic world, garnering reviews from The Sun, Times Higher Education, The Irish Times, The Telegraph and The Independent! In anticipation of the publication of Covenant Relationships and the Editing of the Hebrew Psalter, one of the latest volumes in the long running and cutting-edge Library of Hebrew and Old Testament Studies series, Dr. Adam D. Hensley delves deeper into the origins and research of his book. A direct and methodical investigation of editorial perspective in the Psalter regarding the relationship between the Davidic and premonarchic covenants. Having expressed some interest in studying OT postexilic literature, one of my graduate school professors suggested I might look into the growing field of Psalter studies. While scholarly opinion varied—and still varies—on the extent to which the Psalter constitutes a “book” with a single “narrative,” it nonetheless seemed clear to me that the Psalter was new and relatively unexplored territory for examining the theology and hopes of the postexilic period. I was especially intrigued by what the Psalter’s arrangement might reveal on the question of messianic expectation and covenant theology. Did postexilic editors see the covenants as theological alternatives or characterized by an essential unity and continuity? Was the substance of their hopes limited to the temple theocracy they already knew, or was a future king central to those hopes and to the renewal of the covenant? Was the Davidic covenant really seen as “failed” as Gerald H. Wilson contended? Did they really “democratize” the Davidic covenant by construing God’s promises to the house of David in terms of the people directly without any meaningful role for human kingship in their realization? Or did they view covenant history culminating in restored kingship after all, through which God’s covenant people might be renewed and God’s covenant promises fulfilled? To be sure, there were no shortage of opinions about such questions in the literature, but also no direct investigations of “covenant relationships” with a methodology up to the task. Early in 2010 I picked up a book titled The Editing of the Hebrew Psalter, by Gerald H. Wilson. I was amazed by Wilson’s many observations in the Psalter and parallels with ancient anthologies. But I noticed that, like many studies that have followed it, Wilson’s approach presupposed answers to questions that it failed to address directly. One of those questions was especially foundational: how those who compiled the Psalter perceived covenant history, especially how they understood the Davidic covenant in relation to the premonarchic covenants. My book offers a fresh re-evaluation of editorial evidence in the Psalter, and in the process sheds light on some puzzling features of the Psalter. For example, it offers a new accounting of how editors understood 72:20 (“The prayers of David son of Jesse are ended”) in view of subsequent Davidic psalms. What’s more, the main thesis explored in the book offers a new perspective on why Asaph Ps 50 is separated from the main Asaph group (73–83). By offering a thorough survey of the Psalter’s references and allusions to “covenant” that spans four chapters, it also presents a fuller picture of the covenant profile of the Psalter than previously accessible. This survey work goes beyond the term berit to include intertextual allusions to major entailments of the biblical covenants while taking account of editorial considerations. Building on the work of Jamie A. Grant and others who have demonstrated the Psalter’s idealized depiction of kingship (cf. Deut 17:14–20), my book examines other aspects of the Psalter’s editorial perspective on kingship that have been overlooked or under-appreciated. For example, it explores David as an intercessor between YHWH and people/nations and thereby central to covenant renewal. It also examines a proposed typological relationship between Moses and David in the Psalms: David as a “New Moses” who leads the world in a “new song” of thanksgiving for YHWH’s new, exodus-like redemption of his people. In the process the book offers fresh insights on the structural and theological profiles of Books II–V. We are very grateful to Adam D. Hensley for taking part in this interview! Covenant Relationships and the Editing of the Hebrew Psalter is available for pre-order now, and is due for release on 17th May 2018. Readers might also be interested in the paperback of 'Prayer and Thought in Monastic Tradition: Essays in Honour of Benedicta Ward SLG' edited by Rowan Williams, Santha Bhattacharji and Dominic Mattos, also recently published. Note to readers: the T&T Clark Companion to Liturgy was published in December 2015, and has already received some extremely positive reviews. If you want to read more, click HERE! The Companion is currently on sale at a reduced price as our Book of the Month. See HERE for details on how to order your copy using the special discount. And lastly, you may be interested to know that the the Sacra Liturga conference 2016 will be taking place in London 5-8th July. The volume Liturgy in the Twenty-First Century: Contemporary Issues and Perspectives will be published in time for the conference, and can be ordered at registration for a discounted price. Dom Alcuin, your T&T Clark Companion to Liturgy (our Feb 2016 Book of the Month) has just been published. Can you tell us something about its origins please? The Companion was the idea of Tom Kraft, a T&T Clark editor some years ago, who wanted a volume in the series which would present something of the status quaestionis of liturgical studies in the Western Catholic Church at the beginning of the twenty first century. Undoubtedly Tom’s approach came in the light of the impetus given to these questions by the election of Pope Benedict XVI in 2005. As Cardinal Ratzinger he had taught for many years that “the true celebration of the Sacred Liturgy is the centre of any renewal of the Church whatever.” Western Catholics have endured a number of decades of liturgical turmoil since the middle of the twentieth century, and what is “the true celebration of the Sacred Liturgy” was then—and still is—very much a live issue. Tom asked—well really, he insisted—that I compile and edit the volume. That commenced (too many) years of work with many generous contributors and others who gave of their talents eventually to produce what we hope will provide students and those generally interested in Western Catholic liturgy with a resource that contains some of the best theological, historical and pastoral liturgical scholarship available today, which does not ignore the liturgical issues of recent decades, and which will serve as a guide towards further study in these areas. 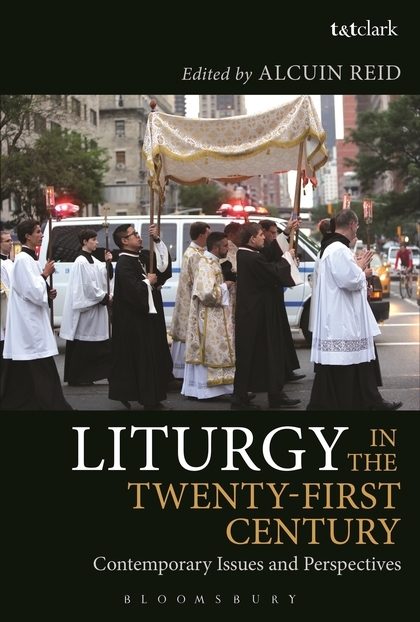 The best answer to that question is found in the first chapter, “Liturgical Theology,” by Professor David Fagerberg of Notre Dame University, USA. Shorter answers are found in the A-Z section of the book. Liturgy is, of course, the public ritual worship of the Church in and through which, in Catholic theology, we hold that Christ acts in a singularly privileged way in our world today. Our optimal participation in the liturgy, our connectivity with this divine action, facilitates our own sanctification and empowers us for Christian life and mission. That’s why Cardinal Ratzinger emphasised that it is the “centre of any renewal of the Church whatever.” If we get the liturgy wrong our connectivity to Christ is impeded. And without optimal connectivity to Christ we, and those so in need of the mission of the Church today in the various and complex situations that the 21st century presents, will lack something essential, we will suffer. Academically, where does the Companion stand in the field of liturgical studies? Firstly I must emphasise that this is a companion to liturgical studies in “the Western Catholic tradition.” Some commentators have already noted that this subtitle is unfortunately missing from much of the Companion’s promotional material. The book neither sets out to ignore the Churches of the East nor to minimise their venerable and rich liturgical traditions. Really, another Companion should be commissioned for the great Eastern liturgical tradition. In the light of what some have termed the “liturgy-wars” of recent decades, contemporary studies in Western liturgy have tended to be fairly ‘safe,’ avoiding critical analysis of the “troubles” following the Second Vatican Council. If you can regurgitate your professor’s take on the liturgical reform following the Council you will pass your seminary course. If you do higher studies in liturgy and do a purely historical analysis of rites or aspects of them, or “engage” with “liturgical sources” (demonstrate a knowledge of ancient liturgical texts), you will receive your degree without difficulty. But should you use history, theology or pastoral practice critically to question the status quo of liturgical thought or practice in your diocese or academic institution, you will often encounter an intolerance that verges on totalitarianism: “Don’t mention the war!” The situation is improving, certainly, but this problem persists amongst a certain generation and school of liturgists. The Companion moves beyond this academic impasse. Many if not most of its contributors are indeed prepared to “mention the war,” and even to admit that it has occasioned severe casualties. The motivation for this is positive—academically and pastorally. The academic questions to which the situation of Western liturgy since the Council has given rise must be studied. The conclusions of such studies must be taken into account in decisions in respect of future liturgical life and reform. So too the associated pastoral issues must be addressed. Yes, a sound knowledge of liturgical history is very important. The ability thoroughly to engage in liturgical sources is certainly a skill and informs the historical study of liturgy. More important today, however, is the ability critically to engage with the liturgical and theological principles operative in history in making a critical assessment of the strengths and weaknesses of our current ritual and pastoral practice. If the Companion helps to form a generation of liturgical scholars who are open to such an approach it will have made a significant contribution. What do you think is the Companion's unique contribution? I think that is, really, the shift from “safe” liturgical study to “critical” liturgical study that I was just talking about. Part III of the Companion, “The Liturgy of the Second Vatican Council,” contains two chapters by Dom Anscar Chupungco OSB (†2013). They take a very different stance to my own chapter and to that of Fr Thomas Kocik in the same section. Students should read them all, attentively and critically. Identifying our different approaches, sources and assumptions will be instructive, indeed I hope it will be formative in acquiring not only a broad appreciation of differing scholars’ stances, but more importantly in developing a critical ability to engage with the sources, underlying principles and realities. This will indeed help to form better scholarship and pastoral practice. Is there anything else you would like to highlight about the Companion? The Companion is a large reference book. As such it has many uses—from studying particular chapters according to given interests and needs, to quickly referring to terms and concepts in the A-Z section, as well as making use of its extensive bibliographies for further research. But it also provides something of a course for studies in liturgical theology, history and contemporary issues. Certainly, it does not and could not contain all that one could study— and that is not its purpose. Its purpose is to accompany, to be a companion for, the student of Sacred Liturgy so that he or she will be well equipped to pursue further studies in the field. I hope and pray that we have, at least in part, achieved that aim. Thank you very much, Dom Alcuin Reid. The Companion is currently on sale at a reduced price as our Book of the Month. See HERE for details on how to order your copy using the special discount. William Horbury considers the issue of messianism as it arises in Jewish and Christian tradition. Whilst Horbury's primary focus is the Herodian period and the New Testament, he presents a broader historical trajectory, looking back to the Apocrypha and pseudepigrapha, and onward to Judaism and Christianity in the Roman empire. 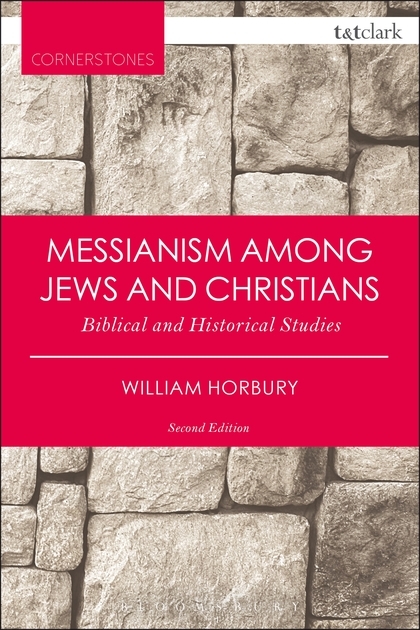 Within this framework Horbury treats such central themes as messianism in the Apocrypha and pseudepigrapha, the Son of man and Pauline hopes for a new Jerusalem, and Jewish and Christian messianism in the second century. Neglected topics are also given due consideration, including suffering and messianism in synagogue poetry, and the relation of Christian and Jewish messianism with conceptions of the church and of antichrist and with the cult of Christ and of the saints. Throughout, Horbury sets messianism in a broader religious and political context and explores its setting in religion and in the conflict of political theories. A ground-breaking study in the formation of early Christian identity, by one of the world's leading scholars. 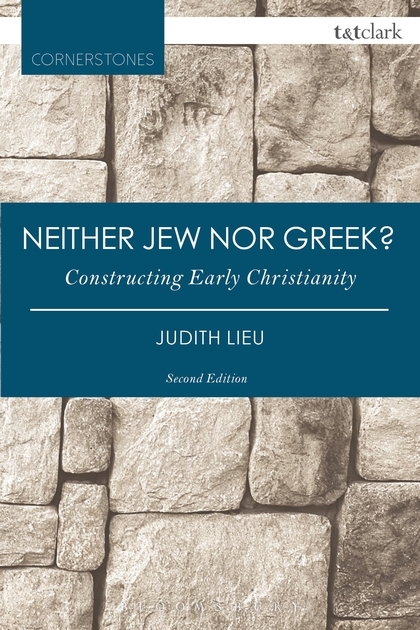 In Neither Jew Nor Greek, Judith Lieu explores the formation and shaping of early Christian identity within Judaism and within the wider Graeco-Roman world in the period before 200 C.E. 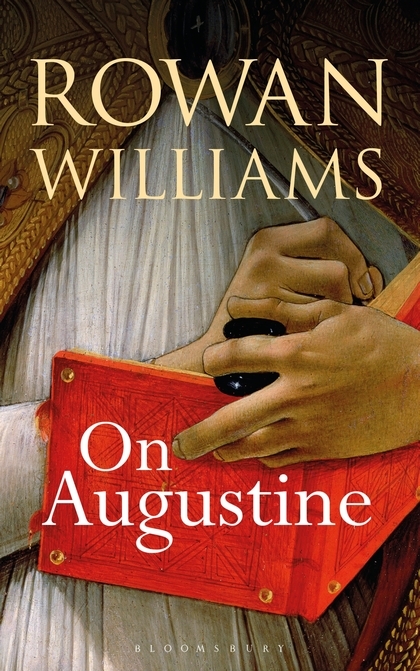 Lieu particularly examines the way that literary texts presented early Christianity. She combines this with interdisciplinary historical investigation and interaction with scholarship on Judaism in late Antiquity and on the Graeco-Roman world.The result is a highly significant contribution to four of the key questions in current New Testament scholarship: how did early Christian identity come to be formed? How should we best describe and understand the processes by which the Christian movement became separate from its Jewish origins? Was there anything special or different about the way women entered Judaism and early Christianity? How did martyrdom contribute to the construction of early Christian identity?